Just after our houses, cars are the second most expensive item most people will ever buy. 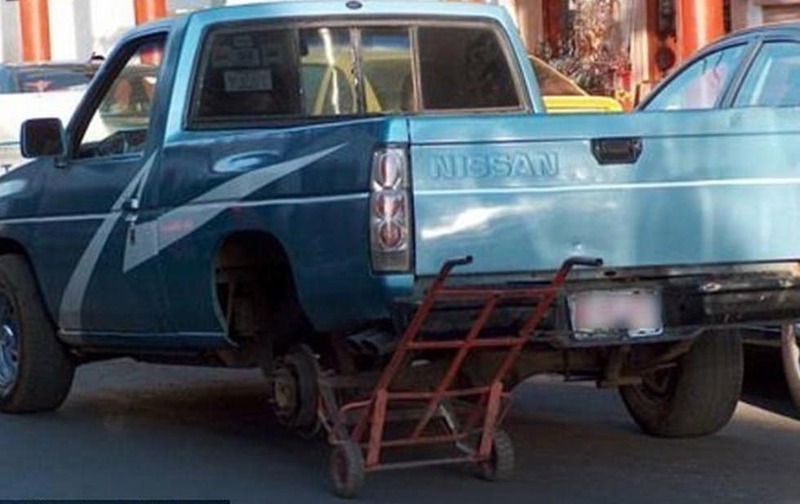 It isn’t easy taking care of these complicated machines that get us from A to B, and sometimes, when finances don’t allow for a proper repair, we have to get creative. 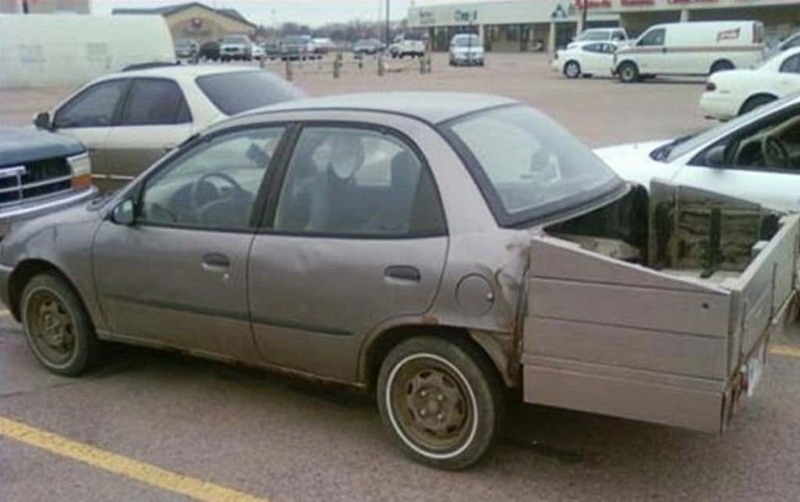 Enter the “patch job”, a car repair that’s good enough to function and technically works, but looks just plain awful. 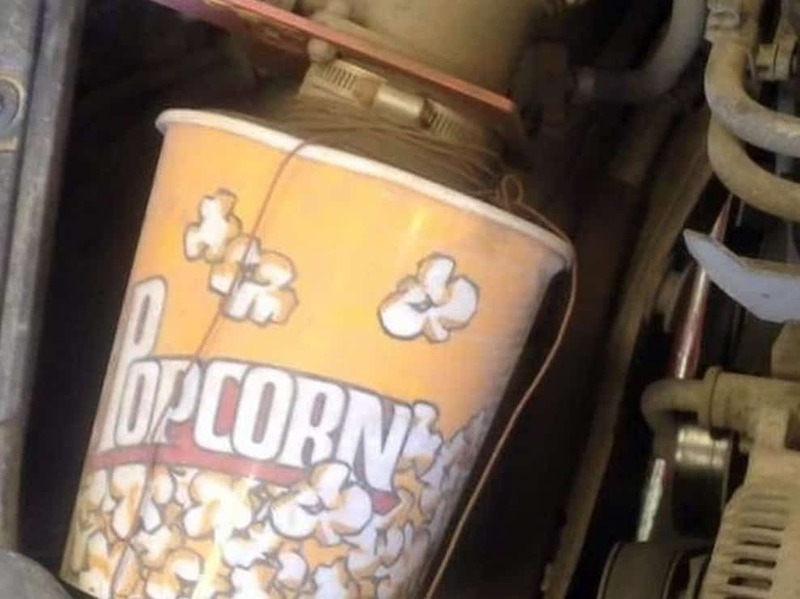 That got us thinking: what are the mos epic car repair fails of all time? After a little searching, we narrowed it down to the top 20. 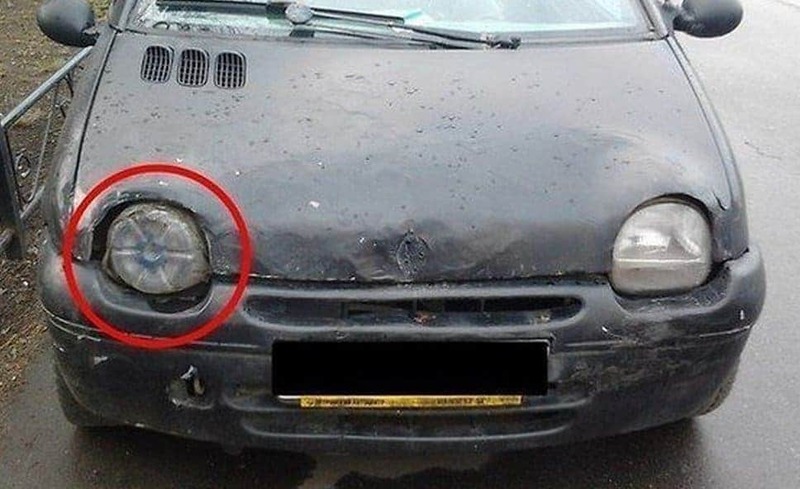 So, without further ado, here are the top 20 most epic car repair fails of all time! 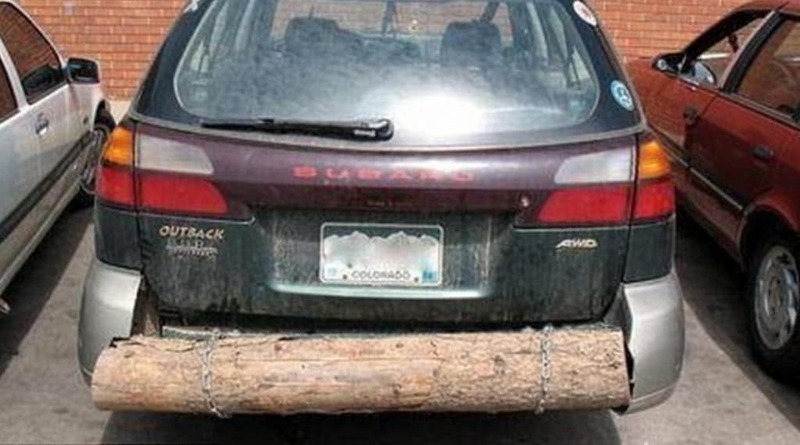 We would love to know the weight capacity of this cars’ new trunk. 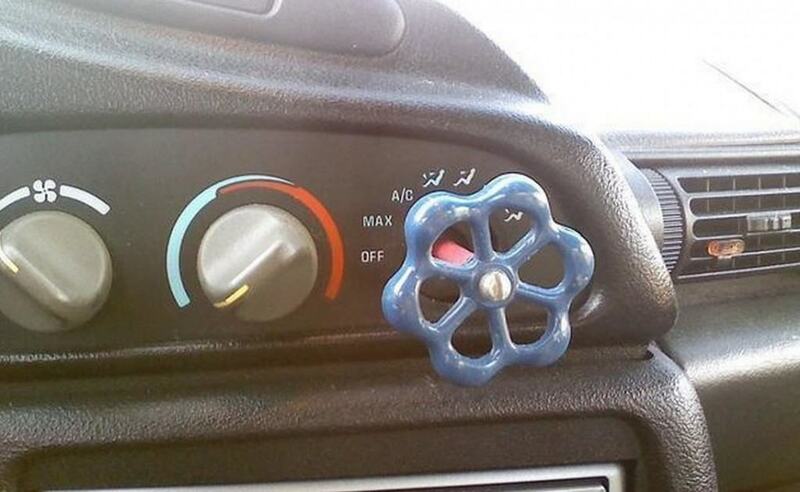 Okay, we get it, it gets hot in the summer and air conditioning is ideal. 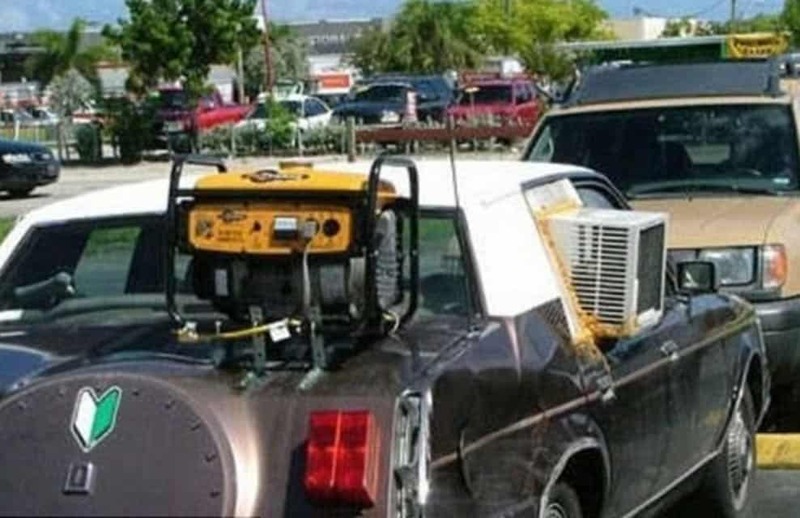 We just don’t get why you would put a A/C window unit, complete with gas powered generator for power, in a car! Well look on the bright side, the person behind you will take extra care not to bump into you. If you turn this knob, will the air conditioning start or will the shower turn on? 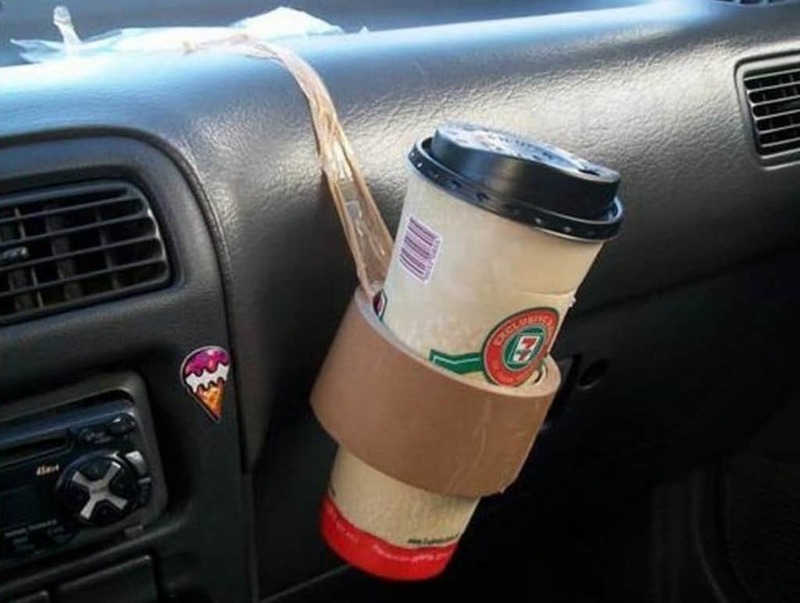 You’re driving down the street, just got your coffee at 7/11 and wouldn’t you know it, your cup-holder doesn’t work! So what do you do? 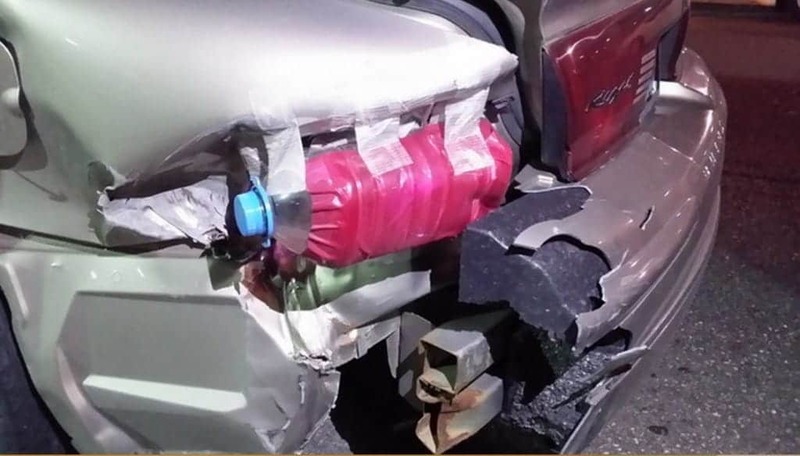 Make one out of packaging tape of course! This can’t possibly be legal and we have to assume that the cops eventually pulled this guy over. 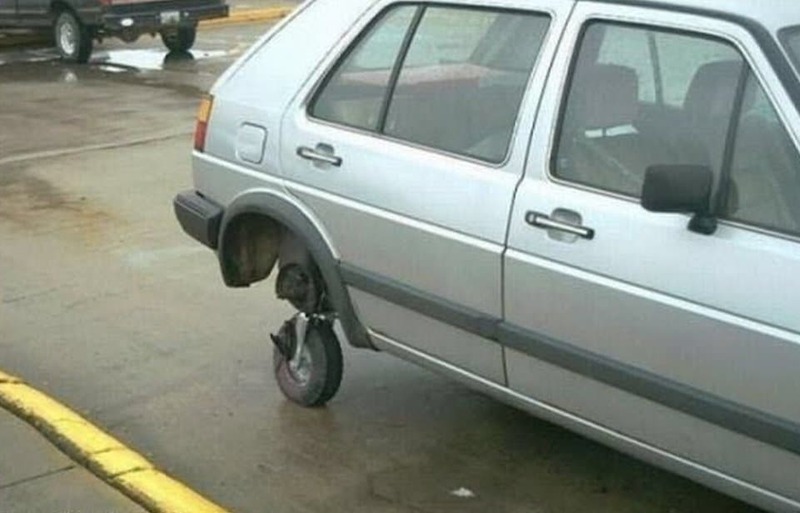 This can’t possibly be worth it, especially when the wheel eventually falls off and your car is being dragged along the street. We can actually get behind this one, we’re pretty sure it works! 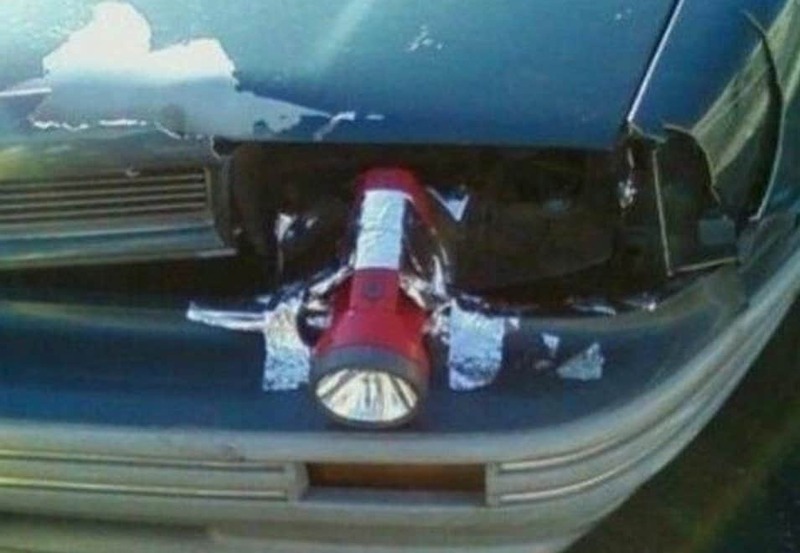 Much like the flashlight headlight before, this can’t possibly be legal. 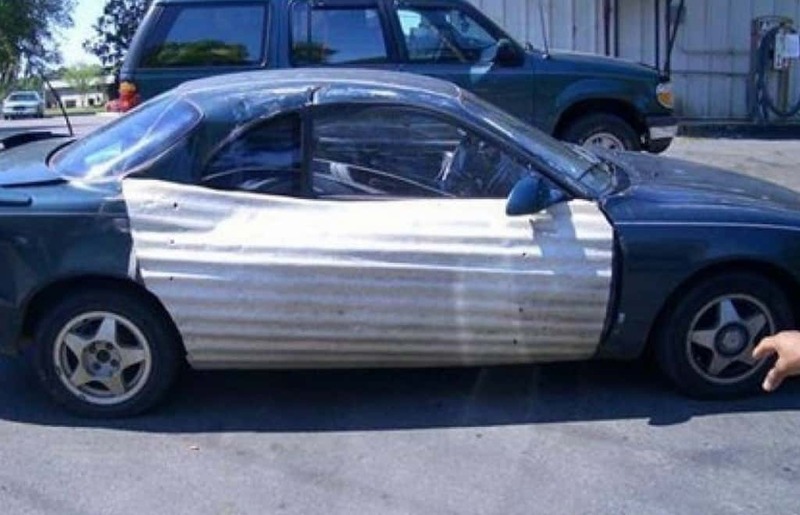 Just show a photo of this to your local DMV and see what they have to say. We just love this, because it works! The light bulb is still inside and still light up when turned on. 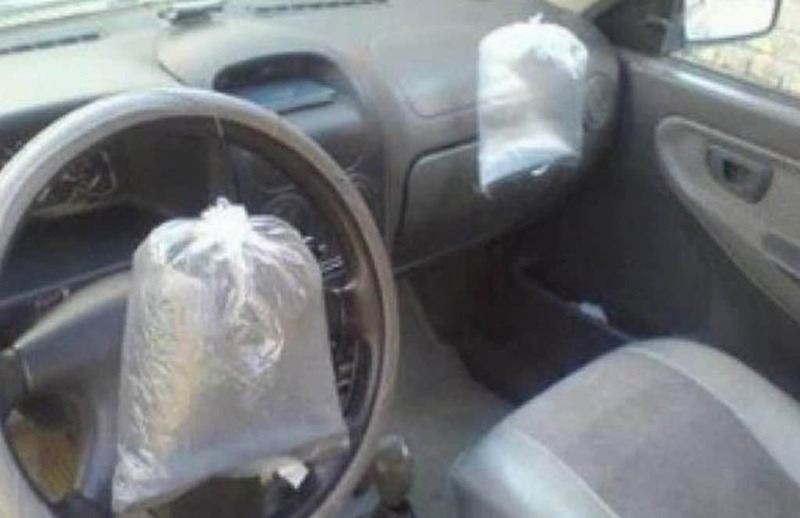 Kudos car owner! Oh the things humans will do in a pinch. 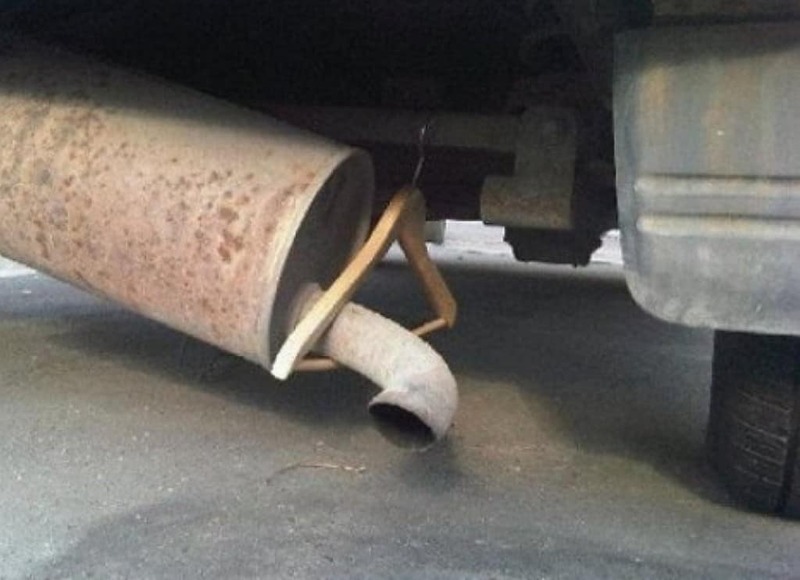 We can only hope this was a quick repair while they got to their local repair shop as quick as possible. 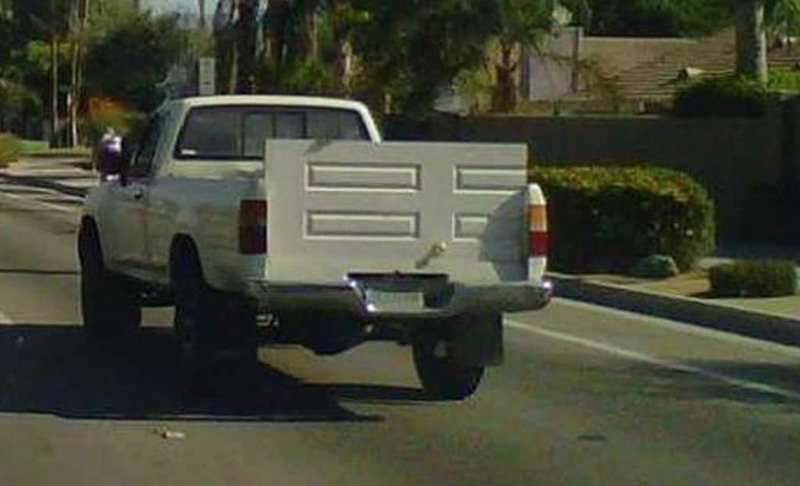 Yup, that’s a plastic porch roof being used as a car door. Need we say more? This is awesome. 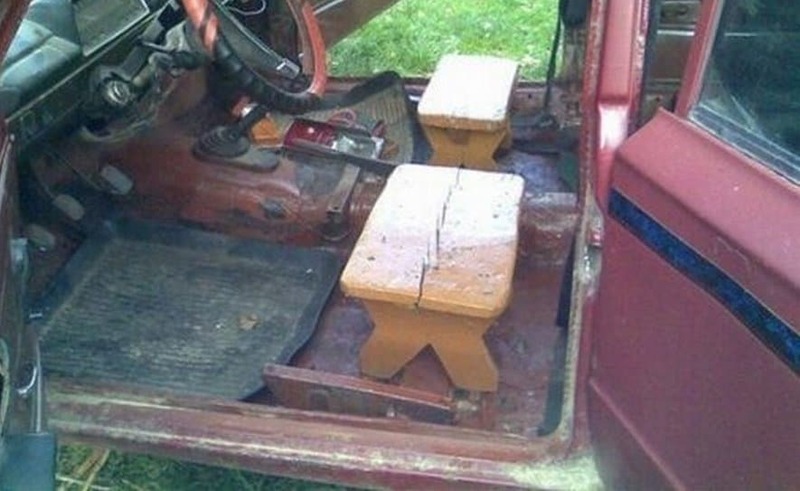 It gives the interior of your truck that “rustic informal look” that we all crave in our transportation. 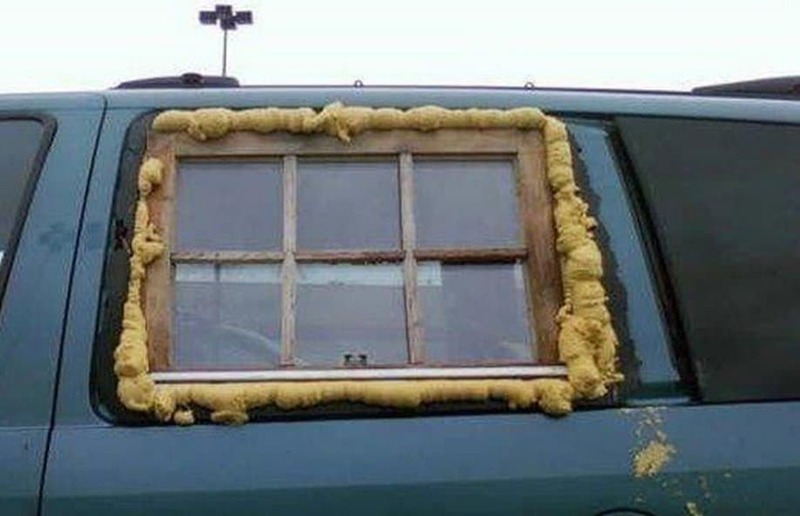 The owner of this car also took it to the next level by using insulation to make sure the elements are kept out. 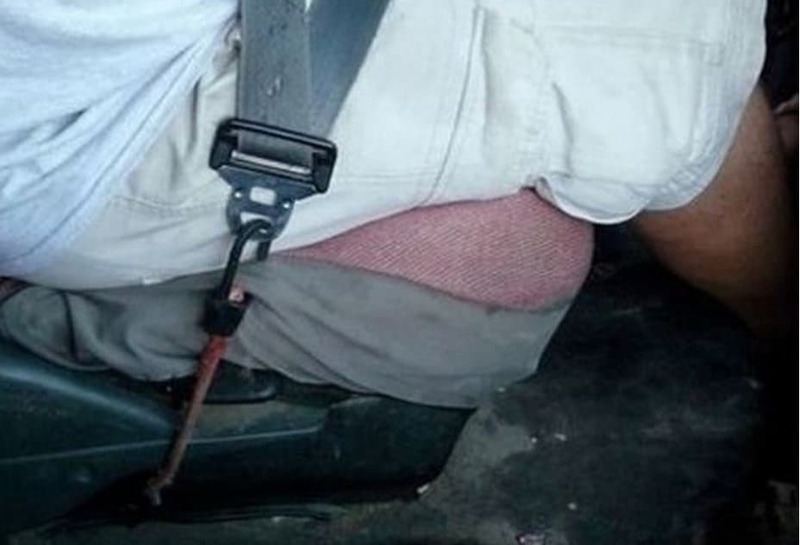 This breaks at least 3 laws that we know of, it probably will get the driver killed if left in there long enough. The police probably won’t like this one, but like the previous one on this list, we’re pretty sure this one works! 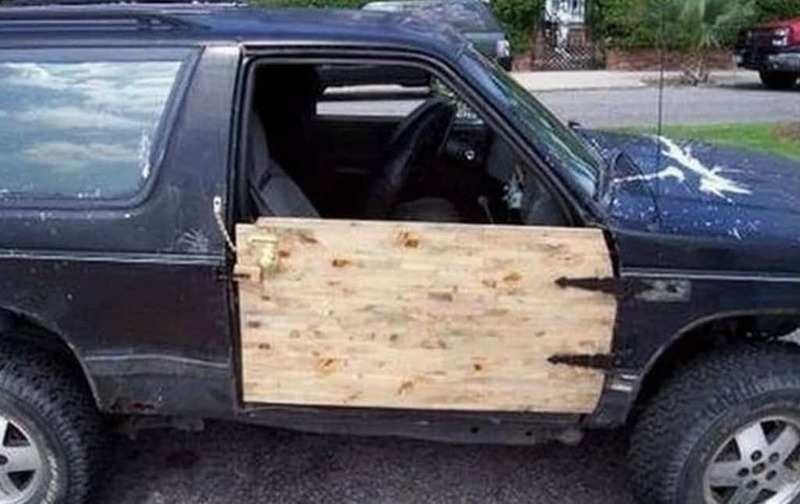 Note the chain used to hold the wooden door in place, the screwed on handle, and the wood fence hinges used to attach it to the car. This probably took the better part of an afternoon so we’re impressed! 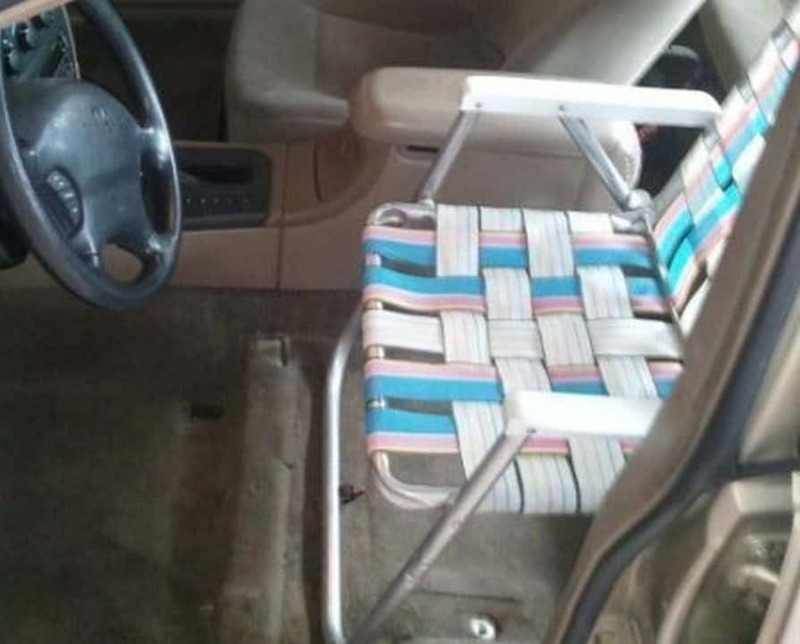 There’s just no way this can be comfortable, practical, or safe. This is just about the dumbest thing we’ve ever seen. These won’t do anything in a car accident and are eye sores to boot.